One intriguing aspect a futuristic flying car is the promise of fast personal transportation. You will hover off your driveway and arrive at your destination hundreds of miles away within a few minutes. Lunch in New York and dinner in Los Angeles. To capitalize on this promise, the car must fly at a supersonic speeds. Supersonic flight involves shock waves (also called sonic booms) and this might not work so well for your neighbors. 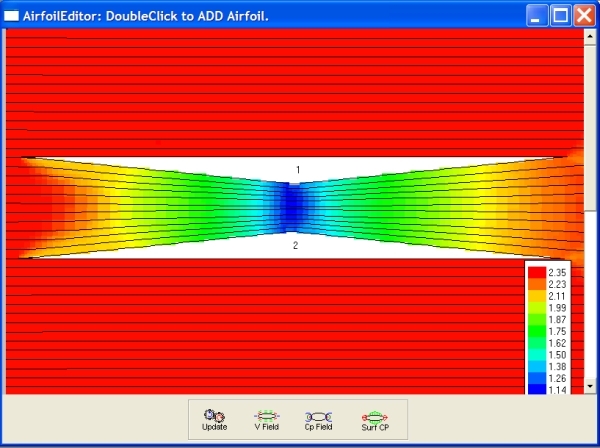 The following video shows a simulation of shock waves (generated using MultiElement Airfoils 5.0). One way of reducing the effect of the sonic boom is to use the Busemann bi-plane concept. Of course, this arrangement of wings does not produce lift. However, they might be useful if integrated into the propulsion system or a cleverly designed shock wave deflectors for lifting surface. 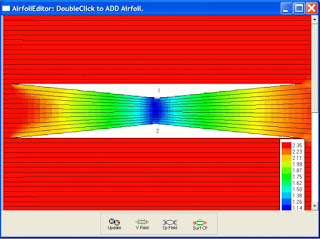 The figures below show MultiElement Airfoils calculations of the Busemann airfoil operating at on- and off-design conditions. 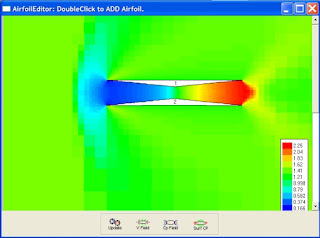 Off-Design Analysis of Busemann bi-plane with external shock waves. It is not too early to start your design of the next wave in personal transportation. 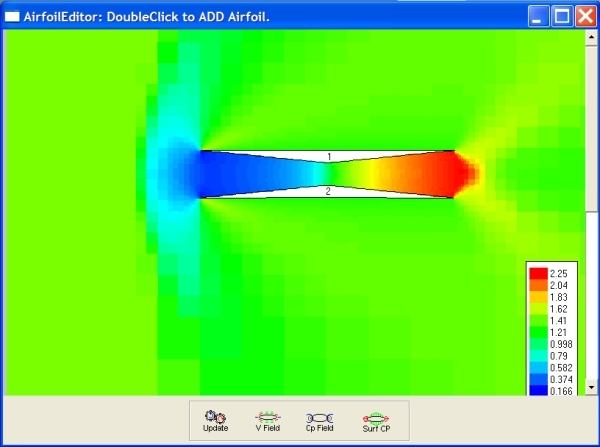 Please visit http://www.hanleyinnovations.com/mefoil.html to find out more about our software for analyzing multi-element airfoils in subsonic, transonic and supersonic flows.